There are a lot of gratitude books out there, but none quite like this, which comes with actual gifts: a sign, a totem, an answer, and a present from the natural world! Most of us believe we can think our way out of problems. We believe that if we just exert enough mental effort, we will pull up a solution to whatever ails us. And that has gotten us nowhere. So in this book, we’re going to forget thinking . . . and start thanking. This playful but easy practice has the power to reconnect us with our true nature. When we observe the world from a place of gratitude, when we use our attention to spot beauty and gaze at wonder, we tune in to a frequency of magic. This joy channel is the most powerful on the planet and has the capability to radically change our lives. Brazen gratitude provides a portal —an entry point —straight into the heart of the field of infinite possibilities described in Pam Grout’s bestseller E-Squared. It enables you to align with the spaciousness of the cosmic energy field, the spaciousness that makes your life a love-shining prism. Thanking puts you on an energetic frequency —a vibration —that calls in miracles and will make you rich (in spirit), happy, and madly in love (with life). 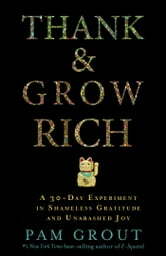 This book also offers a different perspective on abundance, which is not just financial capital. 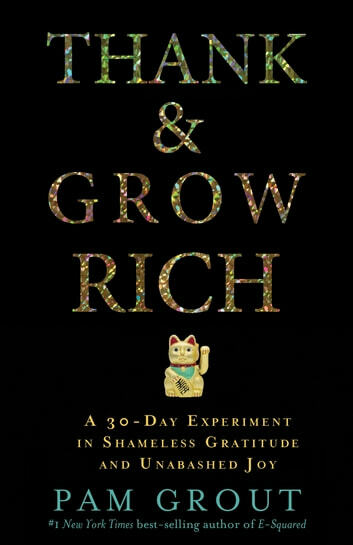 It shows readers how to grow and expand creative capital, social capital, rip-roaring good times capital, and much, much more!